How do you hire the best talent? How do you know they will be the right fit for the job and your organization? At the Kabachnick Group, we have learned from experience that being aware of these components before making a hiring decision is very important to hiring an engaged employee. Consider using assessment tools. Individual Driving Forces are the prime forecasters of success employee engagement or failure (disengagement). Discover an individual’s motivators and beliefs through the use of our Driving Forces assessment. Certain jobs require certain natural abilities. Define the job, define the ability, match the two, and you have a winning formula for engagement at all levels of an organization. The DISC profiling system reveals four basic human behavior dimensions: Drive; Influence; Steadiness and Compliance. When you define an individual’s beliefs and values, you can align the person with a job at which they are likely to excel – leading to engagement and passion in what they do. Overlooking people who do poorly in traditional interviews may cause you to overlook their superior qualifications and skills. Uncover these hidden factors by using online assessments. Employers usually look for themselves in the person they’re interviewing. They rely on their biases when making hiring decisions rather than rely on unbiased and validated assessments. The four assessment profiles best suited to effective recruiting, hiring, retention and engagement are: the self-assessment; assessment of success requirements for the job; assessment of your organization and its culture; assessment of an applicant or employee’s competencies and natural abilities, beliefs and values. When in doubt, choose will over skill. Many times experience alone causes a gap between what the employee knows and what he is willing to learn – leading to disengagement. Benchmark the job by focusing on the job requirements and key accountabilities rather than the “type” of person you think you want. “Supporters” are not disengaged. Although they often interview poorly when compared with “Relaters,” they can make good management material. Assessments are the tool you need to point out this difference. Understand the emotional requirements of a new employee by discussing her strengths and limitations, needs, and reasons for working. During the interview see if her answers match up with her assessment results. If not you need to probe further. Be observant. Watch for behavior changes during the first six months of employment. Job performance either grows or drops during this period. You can forecast disengagement by following this practice. Provide informal feedback monthly by asking specific questions related to the employee’s perceptions of how he or she is doing. Go back to the assessments the employee completed and see if the behavior you are witnessing is congruent with the assessment results. The disengaged employee “cycles” through four “seasons” – from the honeymoon period and full engagement to reactively disengaged and then actively disengaged. Disengaged workers cost US organizations more than $250 billion per year. Research shows that three of four workers are disengaged. The total cost and impact on profits have yet to be measured. Disengaged workers are more than disillusioned; they are mentally divorced from their jobs. Managers usually fail to recognize the symptoms of disengagement, or they avoid dealing with “people issues” entirely. Management often promotes disengagement by rewarding poor-to-mediocre performers with attention and “incentives,” while heaping additional work and responsibilities on top performers. The average manager waits nearly two years before separating the actively disengaged worker from the company – two years during which the worker poisons relations with co-workers, customers, and managers. Firing can be a favor. But fire the person quickly and without recriminations. The truly engaged worker is committed to her job and company, and is unavailable to other employers. People are engaged when they understand and agree with what is expected of them. A simple exercise to encourage engagement: Ask employees to write down what they believe their job requires and the behaviors they feel are necessary for their success. Follow-up with discussions to gain agreement and commitment resulting in an engaged worker at all levels of an organization. Companies are only as good as their engaged people, because companies are their people. Engaged people drive the success of companies. They are the source of all revenues, sales, customer satisfaction and (ultimately) profits. Life and work cannot be separated into compartments. Managers must accept that the two intersect, and become more “professionally personal” if they want to destroy disengagement problems and improve productivity. 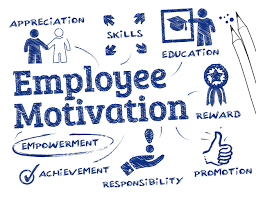 Employee engagement and loyalty cannot be bought, and cannot be imposed through superficial means such as pep rallies, slogans and smiley buttons. Engagement formula: People = Productivity = Profits. Adapt and adopt behaviors in order to treat workers as individuals. The Engaged employee, how do you hire the best talent? How do you know they will be the right fit for the job your organization?